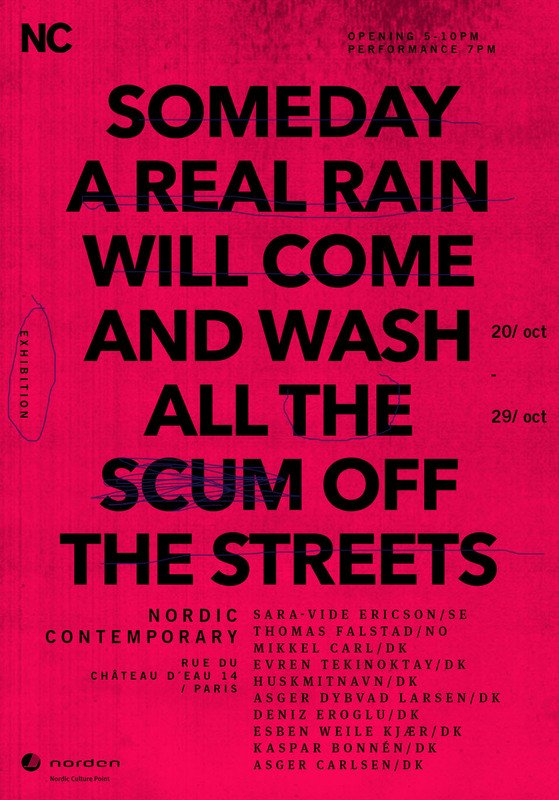 Opening tomorrow: SOMEDAY A REAL RAIN WILL COME AND WASH ALL THE SCUM OFF THE STREETS – A group exhibition at the Nordic Contemporary art space in Paris. On view from 20.10.2016 – 29.10.2016. We are proud that V1 artists Asger Carlsen, Sara-Vide Ericson and HuskMitNavn are part of the exhibition. For more information please visit Nordic Contemporary’s website here.